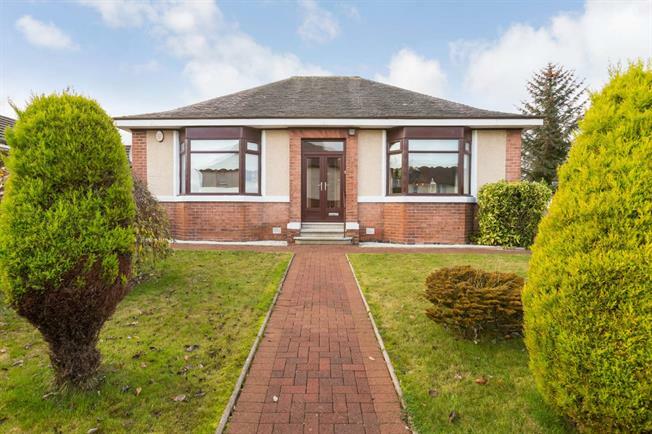 3 Bedroom Detached Bungalow For Sale in Hamilton for Offers Over £235,000. Traditional detached bungalow offering beautifully presented accommodation and sizeable garden grounds incorporating two separate driveways and garage. A pleasing on the level layout includes: vestibule, reception hall, two impressive public rooms both with bay window formations, fitted kitchen, utility room, stylish conservatory, two generously sized bedrooms and attractive shower room. The dining room could be utilised as a third bedroom while a spacious floored loft offers further potential subject to any necessary planning. Period features blend successfully with a high specification finish including double glazing and gas central heating. The well cared for private garden grounds offer views of the adjacent bowling green with expansive driveways ensuring ample off street parking. This sought after position provides easy access to a wide variety of local Hamilton facilities including town centre shopping, quality schooling and train station. Internal viewing of this seldom available style of property is essential to appreciate fully.